The Palace of Catalan Music is a concert hall located in Sant Pere Mes Alt in the Ribera district of Barcelona, ​​Spain. It was designed by the Catalan architect Lluís Domènech i Montaner, one of the leading representatives of Catalan Modernism. The construction took place between 1905 and 1908, with highly advanced solutions in the application of structure with large glass walls and the integration of all the arts, sculpture, mosaics, stained glass and forja. 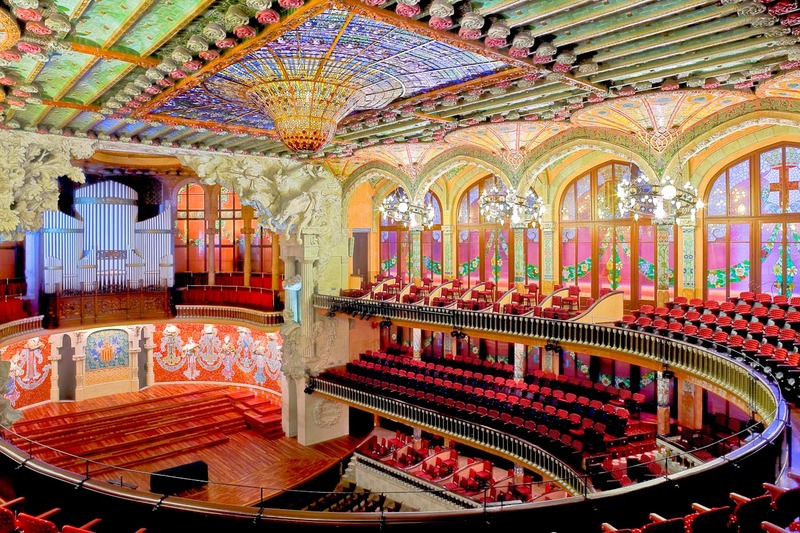 The building, headquarters the "Catalan Choral Society", founded in 1891 by Lluís Millet and Amadeo Vives, was financed by industrial and financial Catalans, illustrated and music lovers, statement that sixty years before had already financed the opera and ballet Gran Teatro del Liceo. The hall has excellent acoustics. 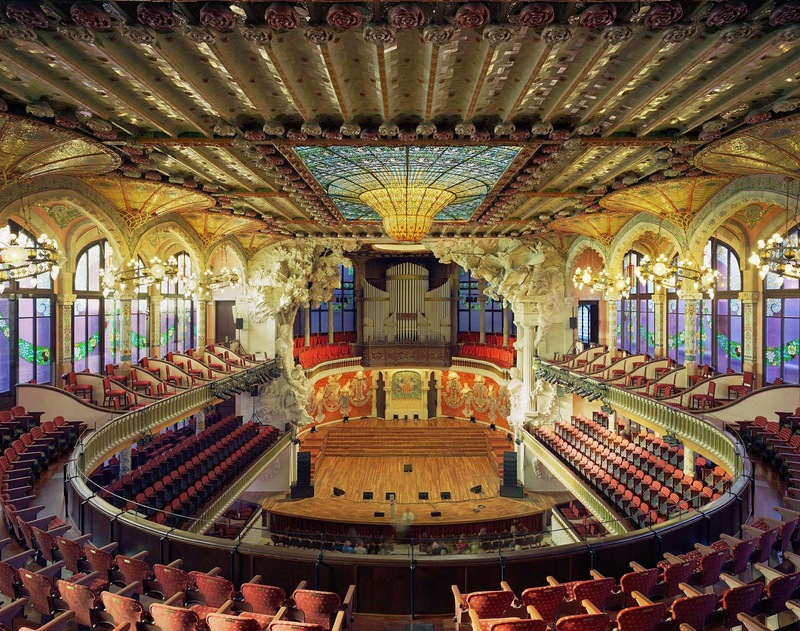 Many of the best performers and conductors in the world of the last century (from Richard Strauss to Daniel Barenboim, to Igor Stravinsky and Arthur Rubinstein, Casals and Frederic Mompou) have passed through the auditorium, sanctuary authentic music of Catalonia and time reference concert hall in the international art scene. Friday 15th of august (21h30): Ópera y Flamenco "Historia de un amor"